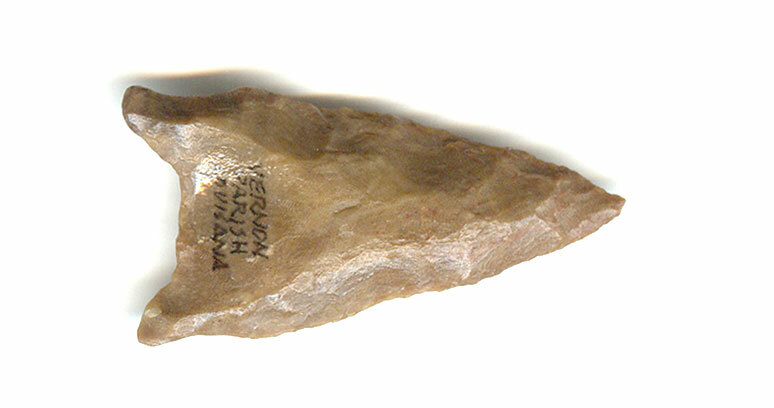 A Normal Size, Colorful, Visibly Aged And Anciently Used, Well Made Hope Variety San Patrice Point That Exhibits Surface Sheen And Stone Aging Coloration Patination, Correct Rolled Basal Stem Edge Hafting Dulling, Correct Blade Sharpening Use Reduction, Correct Basal Thinning, Correct Material And Manufacture For The Area Found. Ex-Carlos Black And Tony Stoddard Collections. This Nice Example Displays Age, Being In Excellent Condition, Made Of A Very Collectable Material! Includes A Ken Partain Certificate of Authenticity!